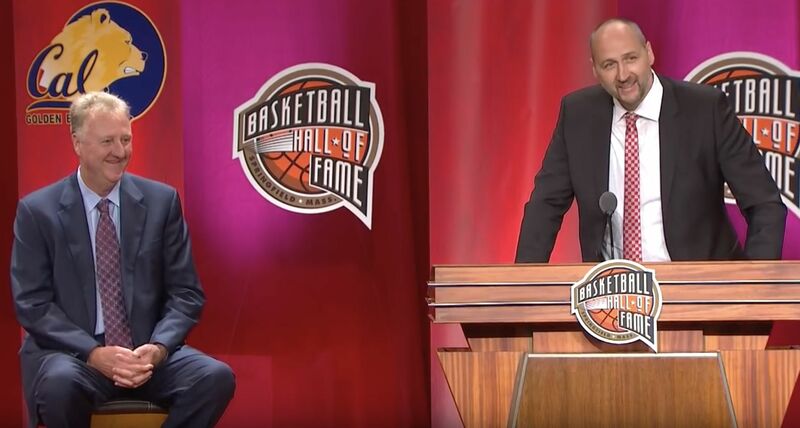 Dino Rađa is now an officially enshrined member of the Naismith Memorial Basketball Hall of Fame after a ceremony in Springfield, Massachusetts on Friday night. 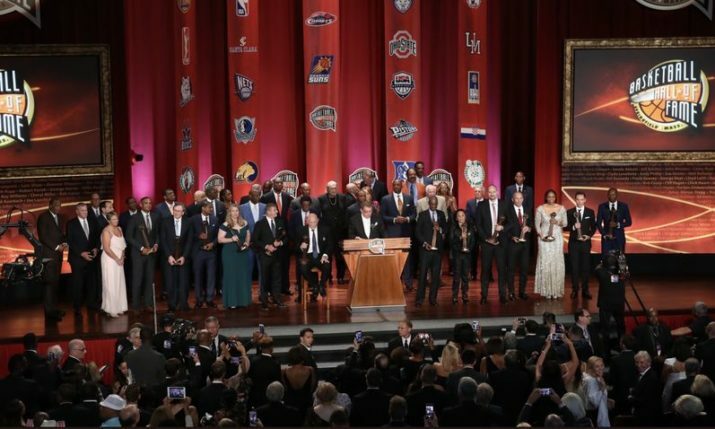 The former Celtics star became just the fourth Croatian to enter the Basketball Hall of Fame after Dražen Petrović (2002), Krešimir Ćosić (1996) and coach Mirko Novosel (2007). Wearing a red and white check Croatian tie, Rađa was presented by NBA legend Larry Bird at Symphony Hall. “My gut feeling was a Celtic from the first day. You know what they say, once a Celtic always a Celtic,” Rađa said during his speech, before getting a huge cheer from the crowd when he ended it with “Go Patriots”. Born in Split, Croatia, Rađa was considered one of the greatest European players of his generation. He was a member of the Jugoplastika team of the late 1980s and early 1990s, which he helped to win two EuroLeague titles. 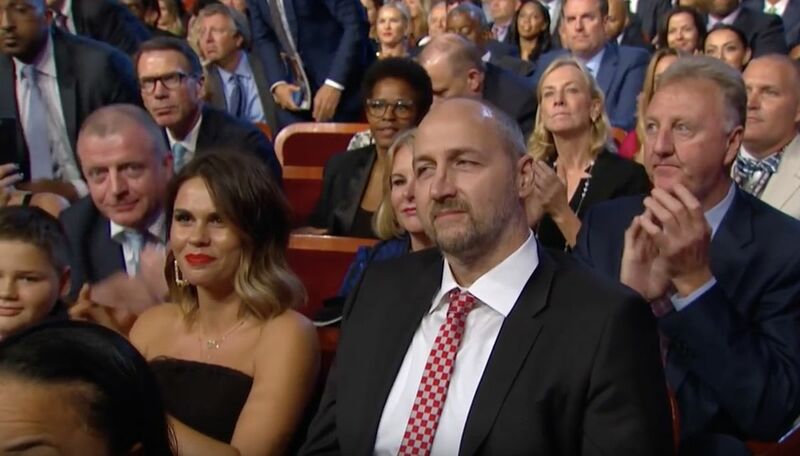 Rađa joined the Celtics in the summer of 1993 and was immediately voted to the NBA All-Rookie Second Team, along with fellow Croatian Toni Kukoč, who was at that time a rookie with the Chicago Bulls. Rađa played his entire four-year NBA career (1993-1997) with the Celtics and averaged 16.7 points and 8.4 rebounds. 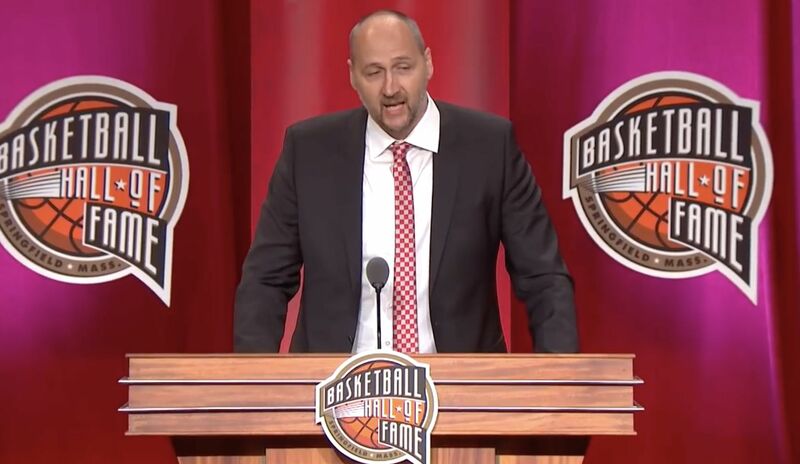 His two EuroLeague championships, multiple club championships and MVP awards overseas helped him earn the induction. Watch his enshrinement speech below.